We found 2710 results matching your criteria. 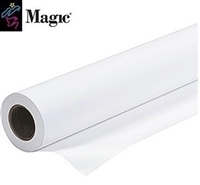 Paper for inkjet, solvent and latex printers. IT Supplies sells a variety of different branded medias in several different finishes and applications. Roll sizes and cut sheet sizes for desktop printers on up to wide format production printers.